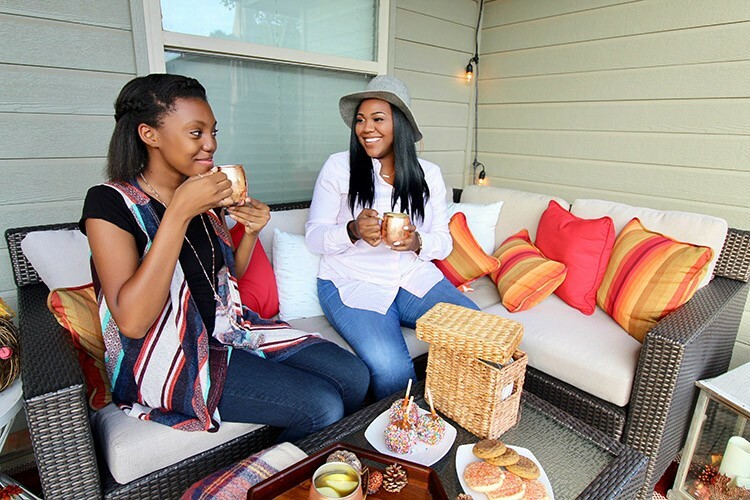 See how influencer Ashley Basnight from Handmade Haven created the perfect outdoor entertaining space to host her family and friends this Fall. 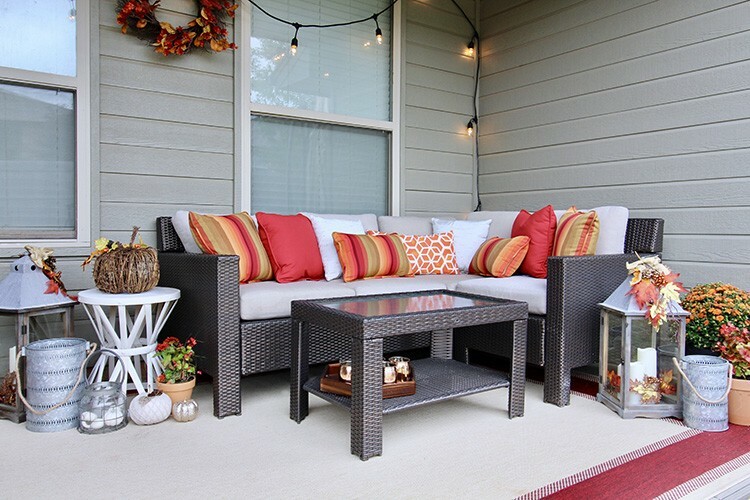 Every now and then, I like to take the time to liven up my backyard space and it’s been a while since my covered patio has received some attention, so fall seemed like the perfect time for a patio refresh. 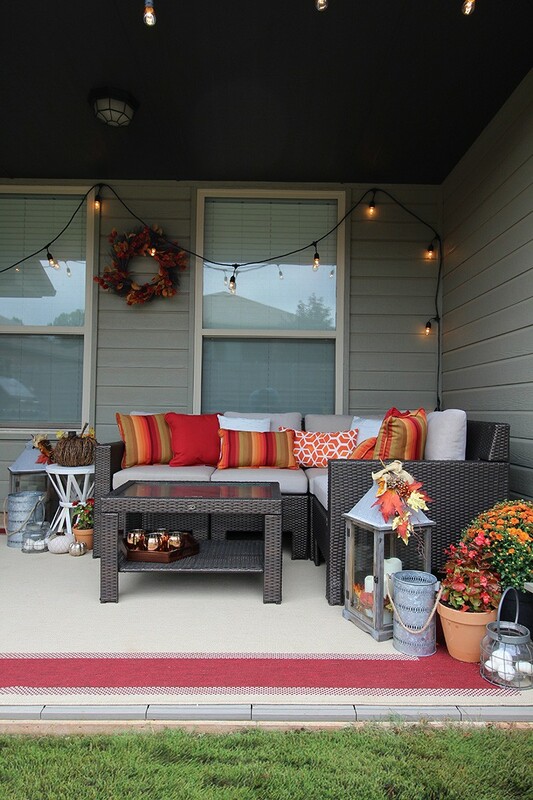 My covered patio space was long overdue for some attention and with a few items, I was able to bring the look of fall, as well as create a space for fall entertaining. 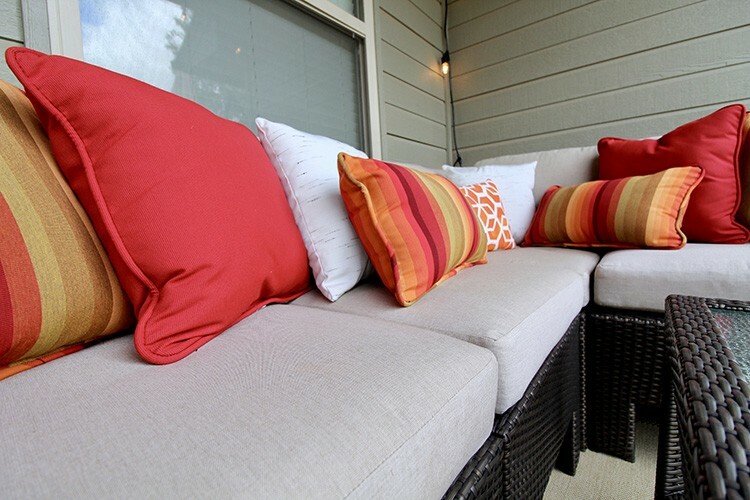 When I think of fall, I always think of bright colors and these outdoor pillows really made my patio space come to life. The contrast between the different pillow styles and the Beverly Sectional were a perfect match for fall. With the use of these bright pillows, I opted to use a more muted outdoor rug, with a subtle pop of red around the outside corners. This outdoor rug really tied in the space and made my covered patio really look like an outdoor oasis, a place where my friends and family could really enjoy the space and get comfortable out there. 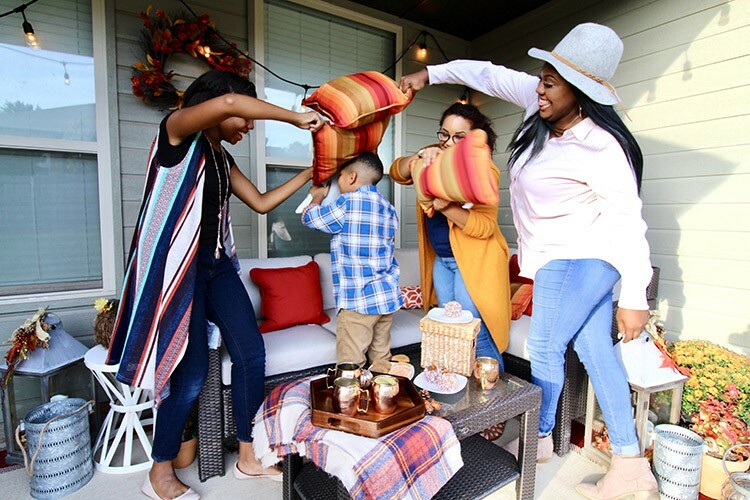 To bring in more pops of color, I added in a few plants and planters with vibrant colors; Mums were a great option to add color to my patio space and they contributed greatly to the fall feel. Lighting is always a quick and easy option to brighten and bring some pizzaz to a space, so I hung up some string lights to get a cozier feel. I also was able to find these big fall lanterns with led candles that also helped light up the space during the night. 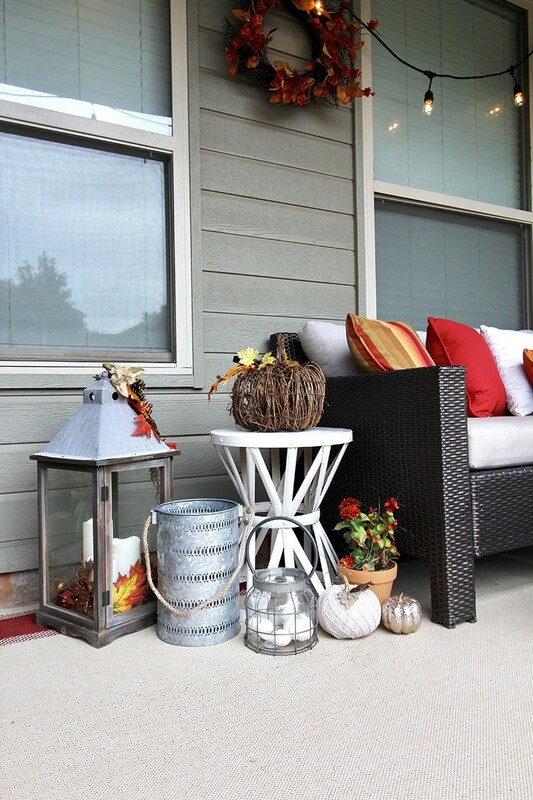 To go along with the LED lanterns, I also added in some of these rustic iron candle lanterns and silver metal and glass lanterns to add a fun design element to the space and added in a few pumpkins to really convey a fall feel. The harvest twig pumpkin was also a nice additive, as it also has led lights for lighting up the space during the night. 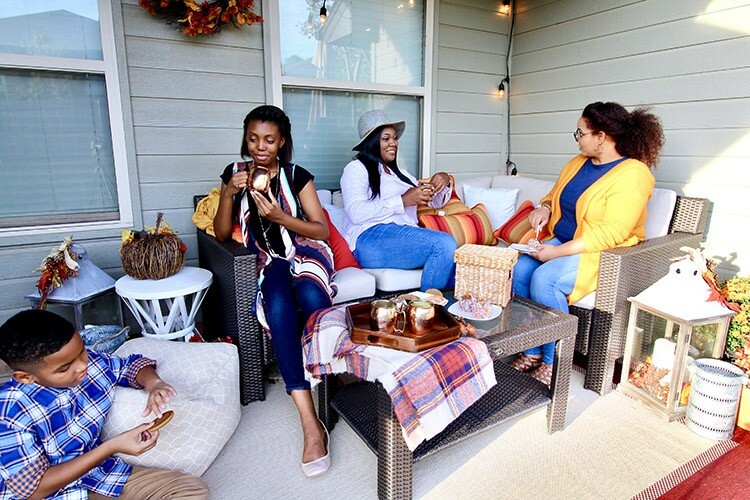 With all of the new fall additives to my patio space, I was able to entertain my family and friends and make it a fun, enjoyable experience. 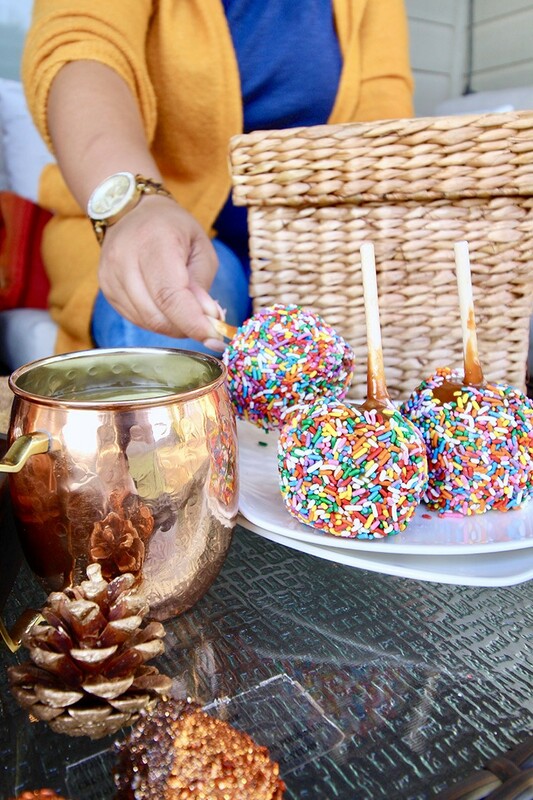 During the fall, my family and friends love to get together and enjoy fall treats, like candy apples and pumpkin spice cookies. The buffetware white square dessert plates set was the perfect plate set to have outdoors. The dessert plates came in a woven wicker box and holds eight dessert plates for everyone to be able to enjoy snacks. 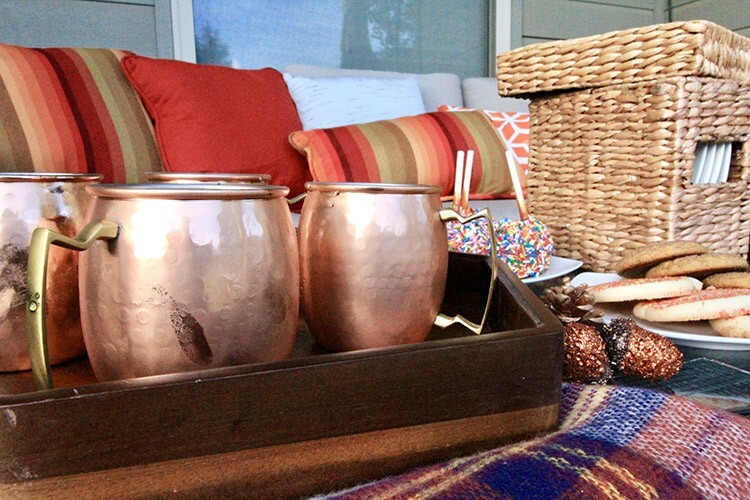 We also love to enjoy our Auntie’s favorite apple cider, so I thought these copper mugs were the perfect option to enjoy the cider in. I got tons of compliments on these mugs and I’m still in love with the copper trend, so they were a no brainer for entertaining. 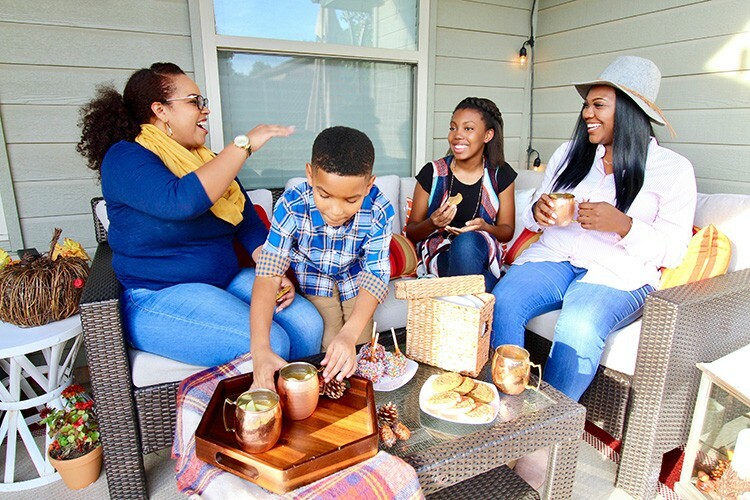 These few items really brought a touch of fall to my outdoor covered patio and I was able to create a space that was both enjoyable for my family and I to really enjoy each other’s company during the upcoming fall months. And it wouldn’t be a family function without a friendly pillow fight! 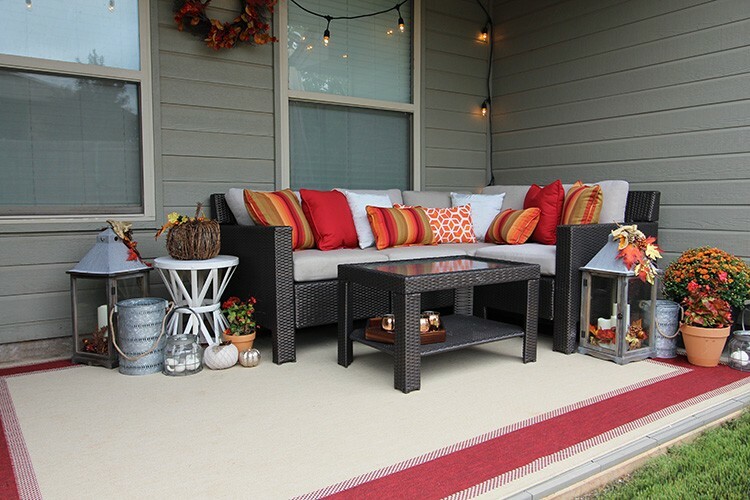 The post Patio Refresh for Fall Entertaining appeared first on The Home Depot Blog.